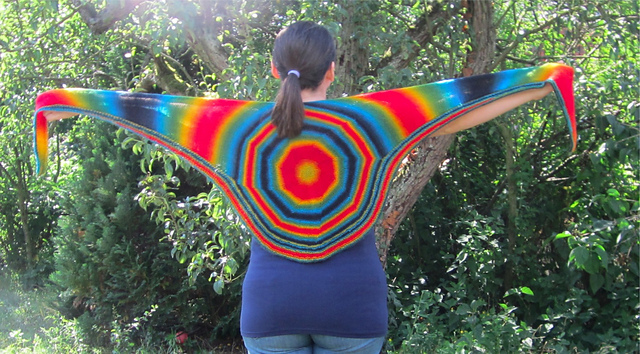 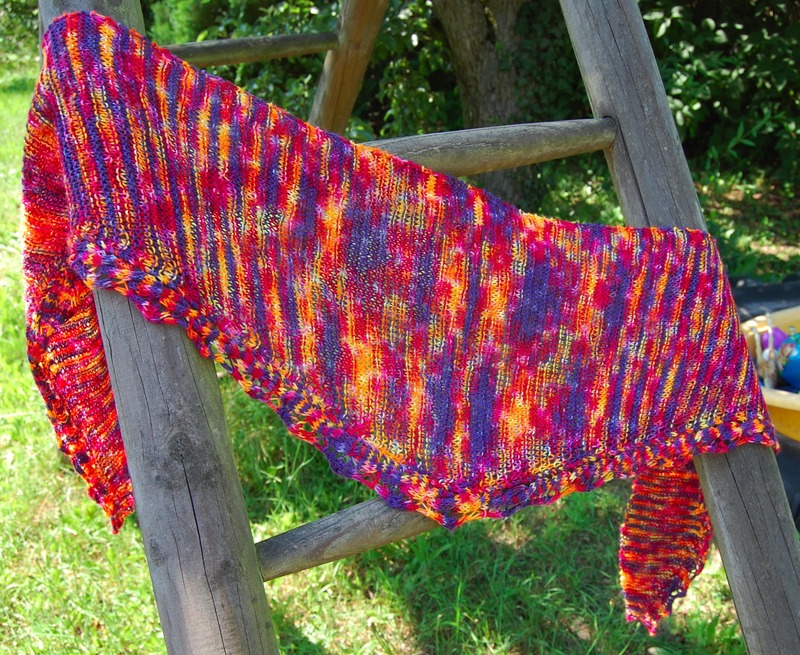 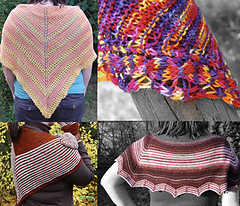 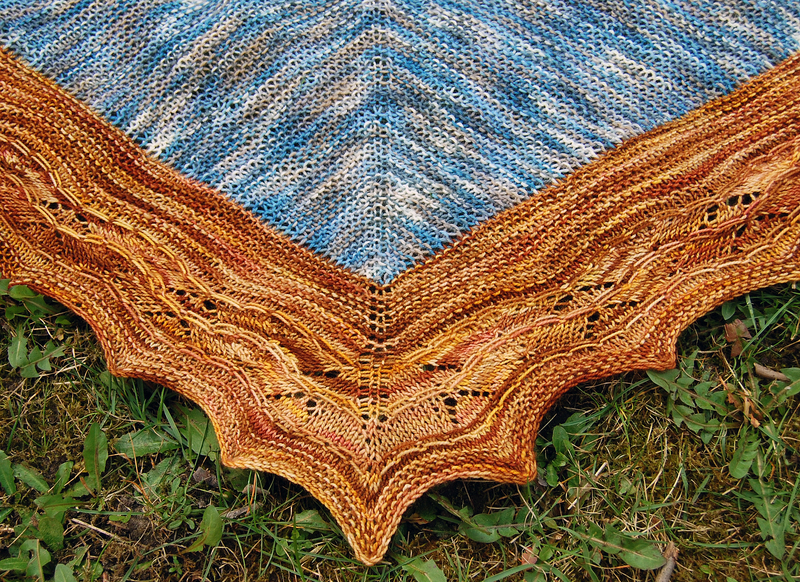 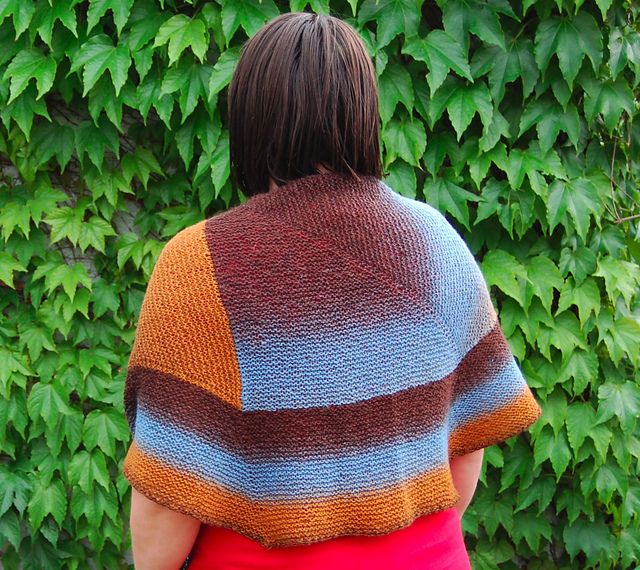 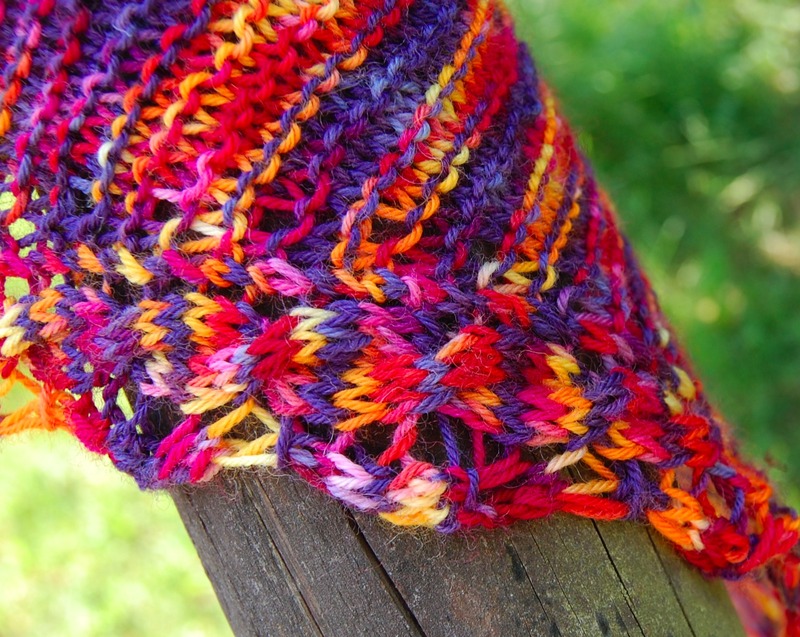 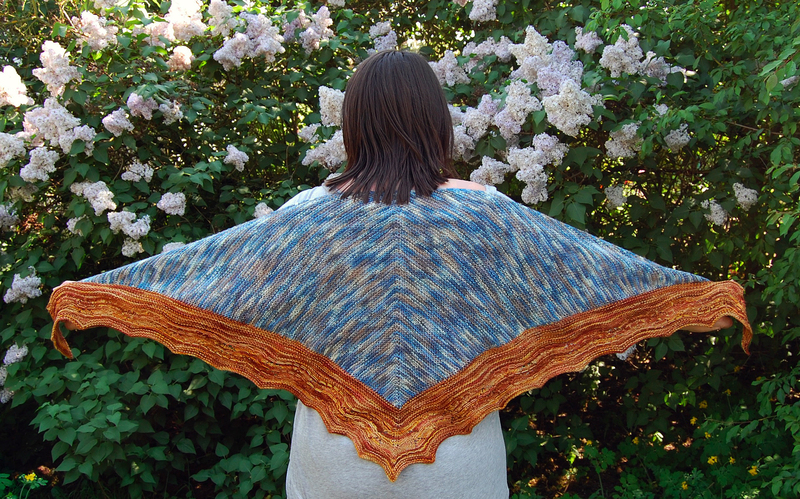 Cretaceous is a rather simple shawl, made interesting by an unusual construction. 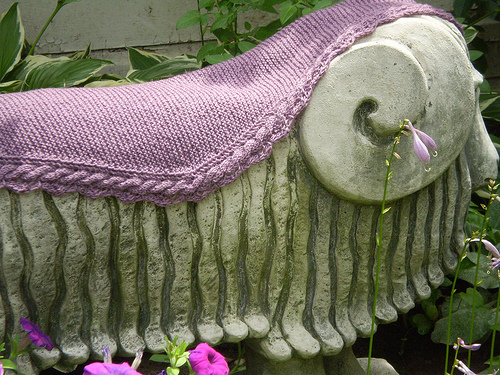 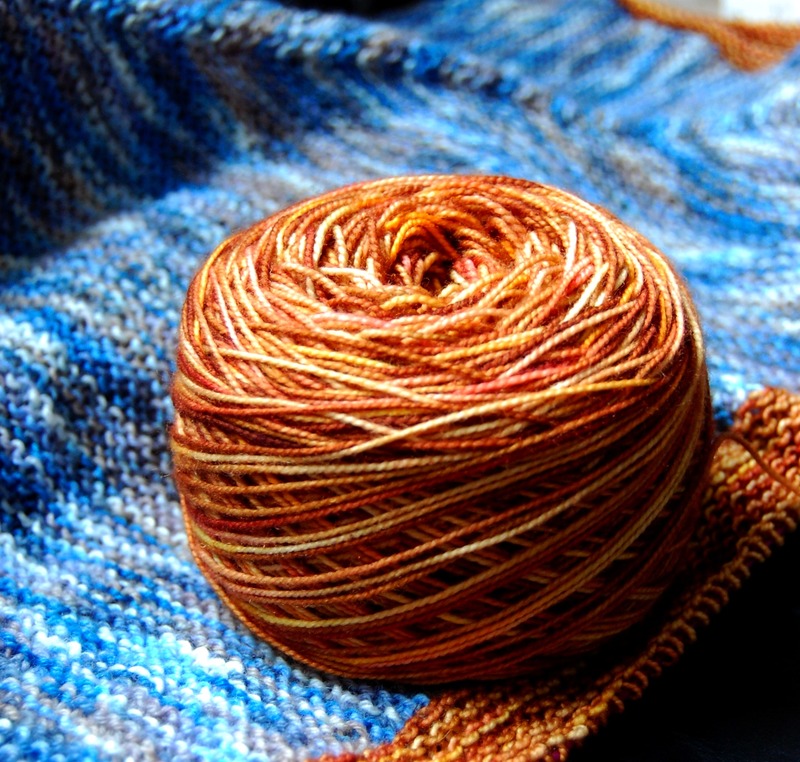 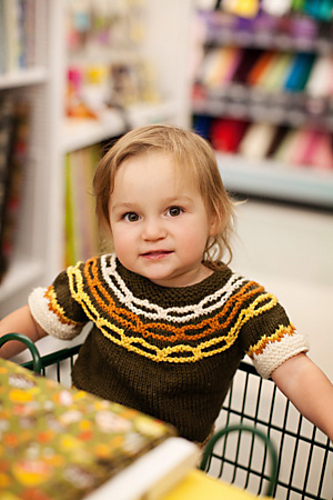 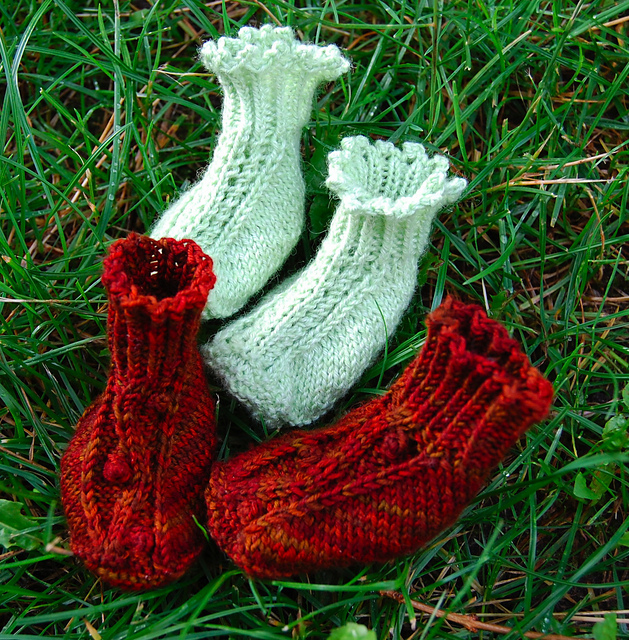 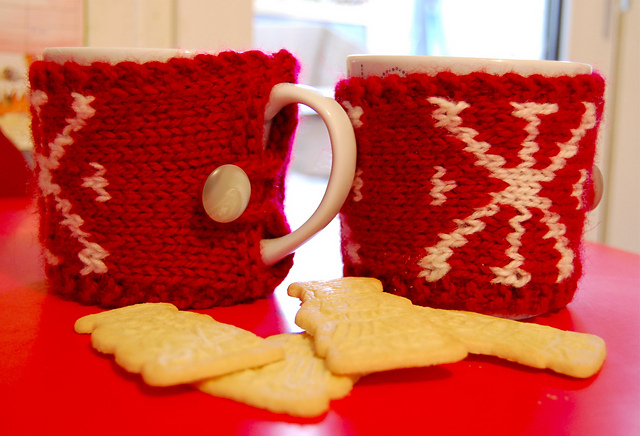 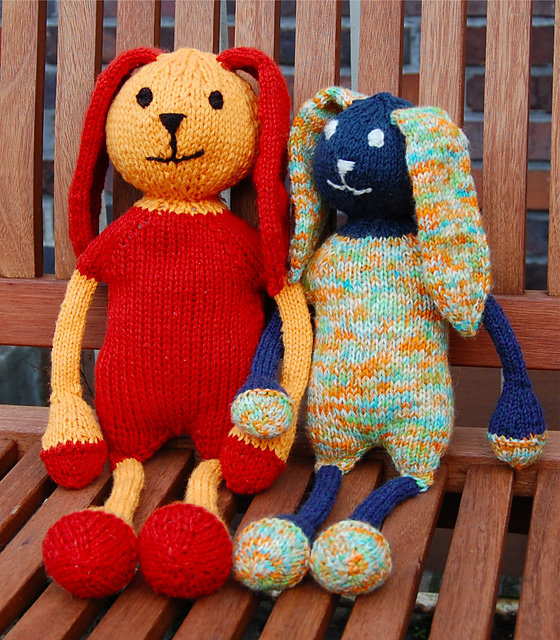 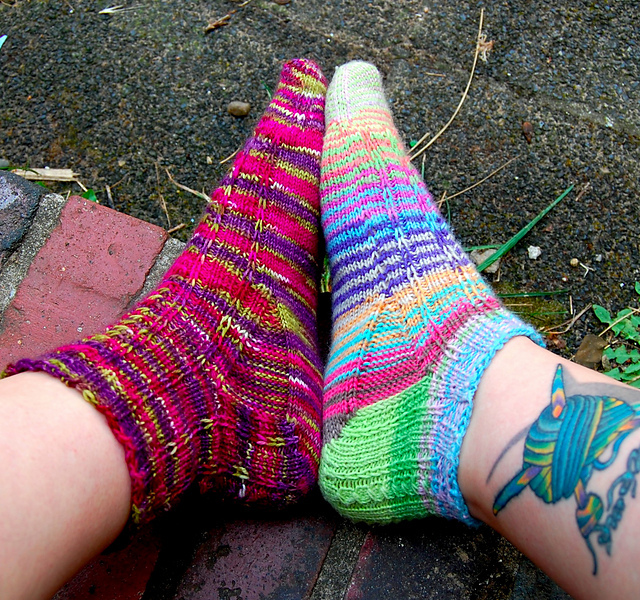 The different knitting directions are perfect to showcase interesting yarns. 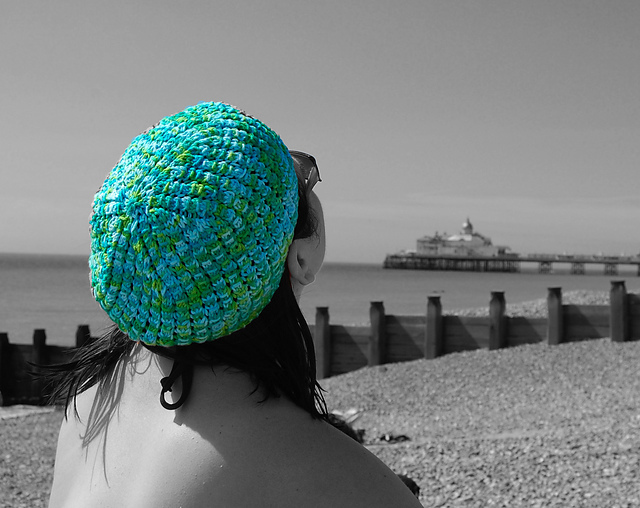 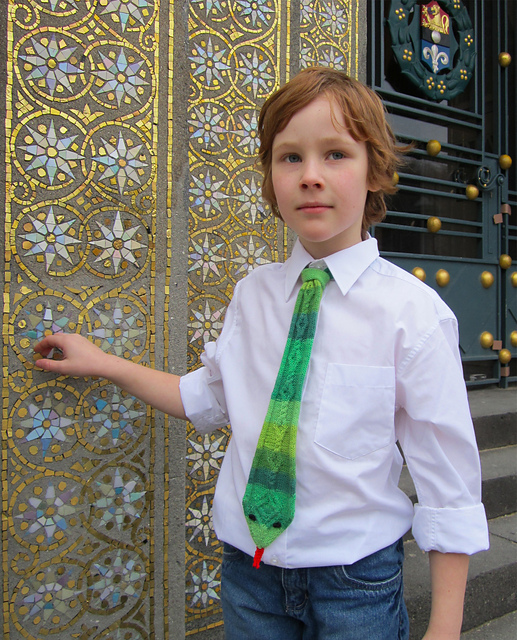 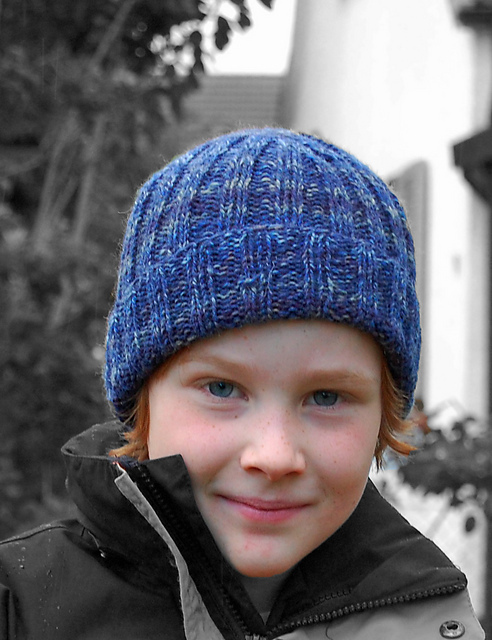 You can also knit it in one colour with great results. 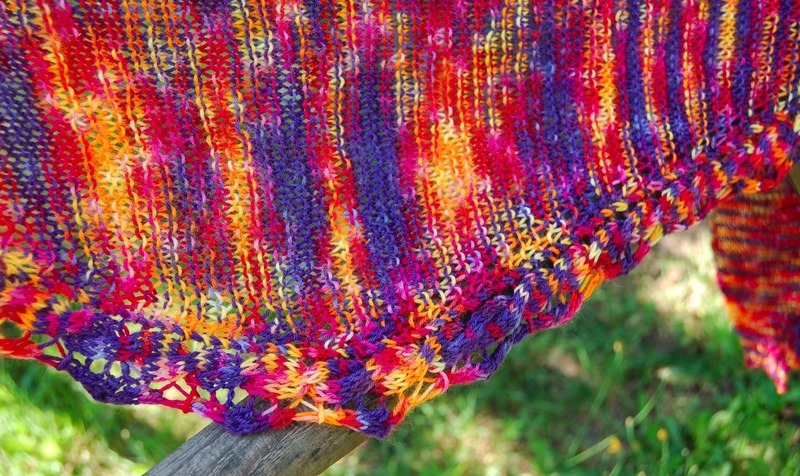 It is a small shawl that feels like a nice hug due to its elasticity – obtained from the garter stitch and the knitting direction of the body. 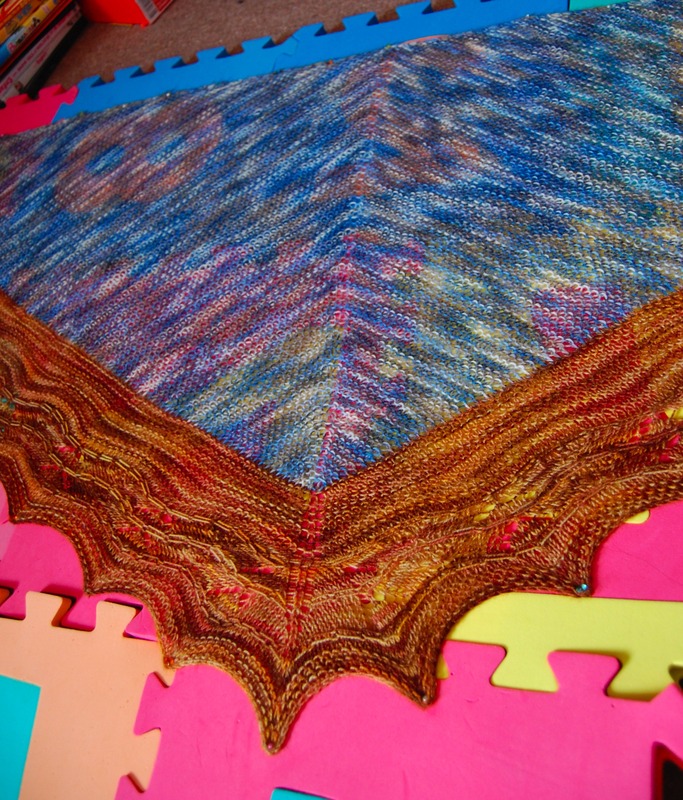 My shawl is now blocked and the testers are at work. 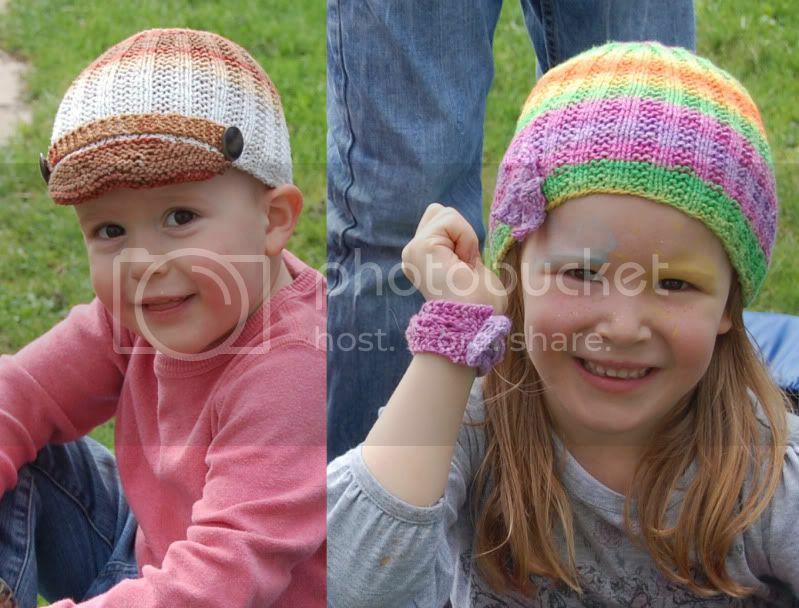 Here are a few pictures I took of it. 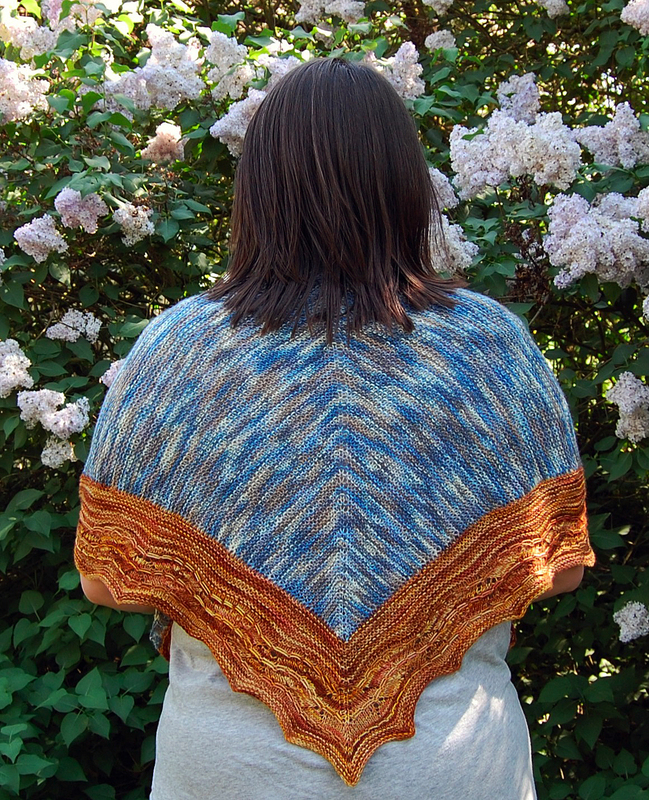 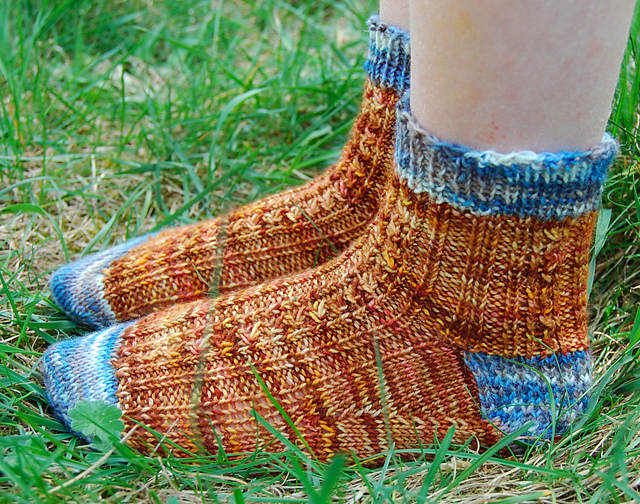 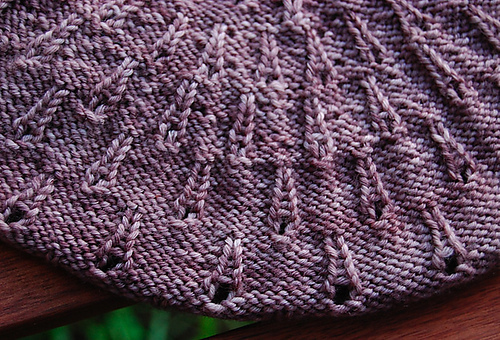 Yesterday, I was posting a little sneak peek at my latest pattern, Cretaceous. 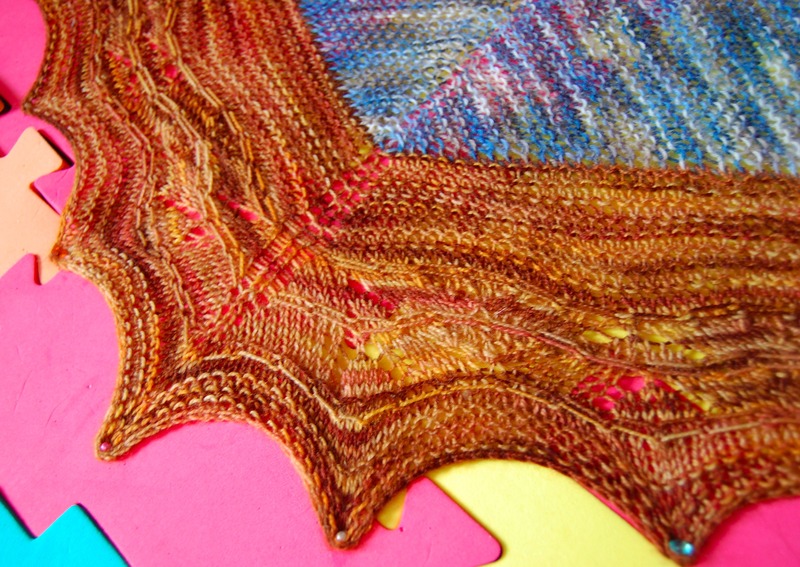 Well, it’s now ready and being tested and should be published in a couple of weeks. It’s a two-colour shawl with an unusual construction. 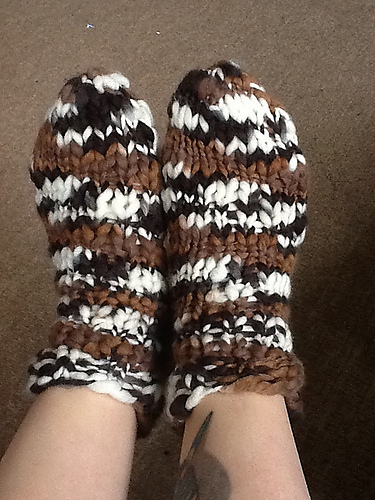 I’m working on a new design, here’s a little sneak peek, I love that brown yarn, it’s very yummy!